Everything inside of a home needs to be cleaned from time to time. 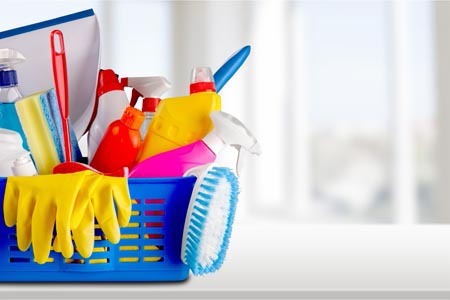 Now, some areas needs to be cleaned before others, with certain areas of the house requiring only general attention throughout the course of the year. Understanding what needs to be cleaned now and what can wait is always good, and while every household is different, the further along someone gets with cleaning, the better off they are going to be. Maid Complete can provide all necessary house cleaning services. Whether it is just a general cleaning or you require a more complete, deep clean, Maid Complete can handle all of your housekeeping needs. There are certain areas of the house that need to be cleaned once a week. This is especially the case in a larger family (and even more so if there is only one bathroom). Vacuuming should take place throughout the week, especially with pets, and cleaning the toilets and sinks should also take place weekly as well. For larger families, using Maid Complete once a week or bi-weekly is the way to go while running a vacuum over the floor from time to time might be a good idea as well, if bringing in the maids weekly just isn't possible. For someone who doesn't want to use a housekeeping service every week, they can move to the bi-weekly or monthly service. There are certain areas that need to be cleaned at the very least once a month, if not every week. Thankfully, all of these areas are cleaned every single time Maid Complete comes into the home. Now, cleaning windows is an added cleaning option that can be included in the general cleaning service or with the deep cleaning service. Cleaning windows can be a bit of a workout and time consuming, so having a professional clean the windows is a nice way to go. Cleaning the bathtub and shower at least once a month is a must. As the humidity in Colorado starts to increase, mildew is more likely to develop, so running the bathroom fan to remove steam and moisture is important in helping out with preventing mold development. Now, there are other areas that should be cleaned every few months or once a year at the very least. Cleaning upholstery is a must, although this should take place more frequently if there are small children or pets in the house. The professionals at Maid Complete vacuum and clean furniture every time they are in the house which is a fantastic way to keep the house clean. They do not deep clean the furniture, which can be done with the aid of a carpet cleaning service annually, but in between cleanings, this is a great way to avoid the build-up of dirt, hair and debris. The same is true with the carpet as well. The carpet should be deep cleaned annually, and with the help of house cleaning professionals this doesn't need to be done any more frequently. It is all about understanding how often something needs to be cleaned and what all needs to be done in order to make sure the home is properly cleaned and taken care of. Cleaning and taking care of a household is hard work and it takes a considerable amount of time. From simple dusting and vacuuming to moping floors, cleaning the bathroom and scrubbing the kitchen, there is just so much work that needs to be done that it may seem overwhelming at times. After all, there are other tasks and chores that need to be taken care of throughout the week. With the help of a housekeeping service, this is no longer a problem at all. The home owner can go and run other errands or just kick back and relax while the housekeeping service is able to take care of everything. So, regardless of the size of the house or what needs to be cleaned, everything is always going to be taken care of. So, whenever the house is in need of a good cleaning, Maid Complete is there to help.